"She embodies the Dollar General Every Day Hero through her dedication to her students by preparing them for the future and her students will undoubtedly benefit from her passion for teaching today’s youths." 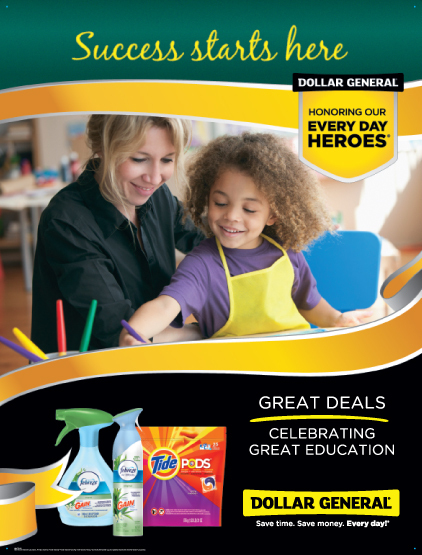 GOODLETTSVILLE, Tenn.--(BUSINESS WIRE)--Dollar General’s Every Day Heroes program recognizes ordinary people doing extraordinary deeds and this September, Dollar General, in partnership with Procter & Gamble® (P&G), will celebrate and honor our nation’s schools and teachers. Through their “Success Starts Here” national marketing campaign, including an advertorial in Better Homes & Gardens, the program recognizes Boone County High School in Florence, Ky. and one of its teachers, Kimberly Shearer. Shearer is a wife and mother, as well as an English teacher at Boone County High School. 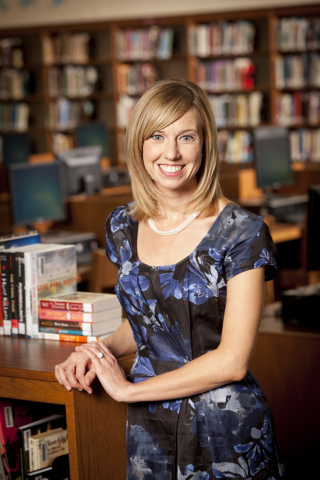 Her recognition as the Kentucky Teacher of the Year in 2012 is due in part to her strong advocacy of 21st century literacy skills and strengths in teaching students how to evaluate information, collaborate, master technology and to become life-long readers. 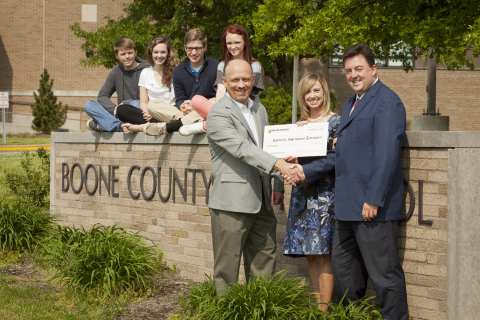 In honor of Kimberly Shearer and educators everywhere, Dollar General is making a $10,000 donation to Boone County High School to help meet the needs of its diverse student body. Dollar General is proud to support literacy and education initiatives that help others improve their lives with the Dollar General Literacy Foundation. Since its inception in 1993, the Dollar General Literacy Foundation has awarded more than $81 million in grants to nonprofit organizations, helping more than 4.7 million individuals take their first steps toward literacy or continued education. Dollar General offers its customers great value and convenience, as well as national brands at bargain prices. Dollar General carries top brands like Tide, Gain, Downy and Febreze. Customers can receive additional savings through the P&G brandSAVER on September 1. Dollar General’s Every Day Heroes® program has also recognized community leaders, literacy volunteers, military veterans and many others in the communities it serves. From moms and dads to neighbors and coaches, Dollar General is proud to celebrate the people and institutions that make a difference. Dollar General Corporation has been delivering value to shoppers for nearly 75 years. Dollar General helps shoppers Save time. Save money. Every day!® by offering products that are frequently used and replenished, such as food, snacks, health and beauty aids, cleaning supplies, basic apparel, house wares and seasonal items at low everyday prices in convenient neighborhood locations. With more than 10,000 stores in 40 states, Dollar General has more retail locations than any retailer in America. 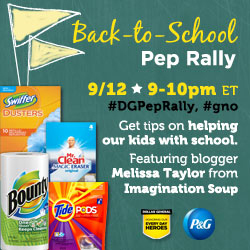 In addition to high quality private brands, Dollar General sells products from America's most-trusted manufacturers such as Procter & Gamble, Kimberly-Clark, Unilever, Kellogg's, General Mills, Nabisco, Hanes, PepsiCo and Coca-Cola. Learn more about Dollar General at www.dollargeneral.com. Dollar General is proud to support initiatives that help others improve their lives through literacy and education. Join the Twitter Party on 9/12.